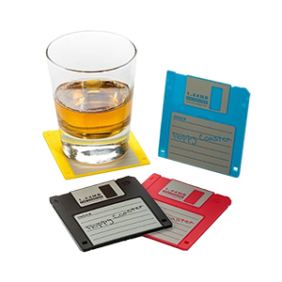 You may be old enough to find nostalgic value in these drink coasters but that doesn’t make you too old to drink to excess. 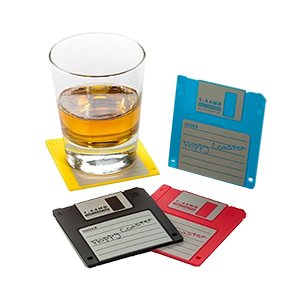 Your other old fart pals will get a real kick out of these. Rest in peace sweet obsolete floppy disk.